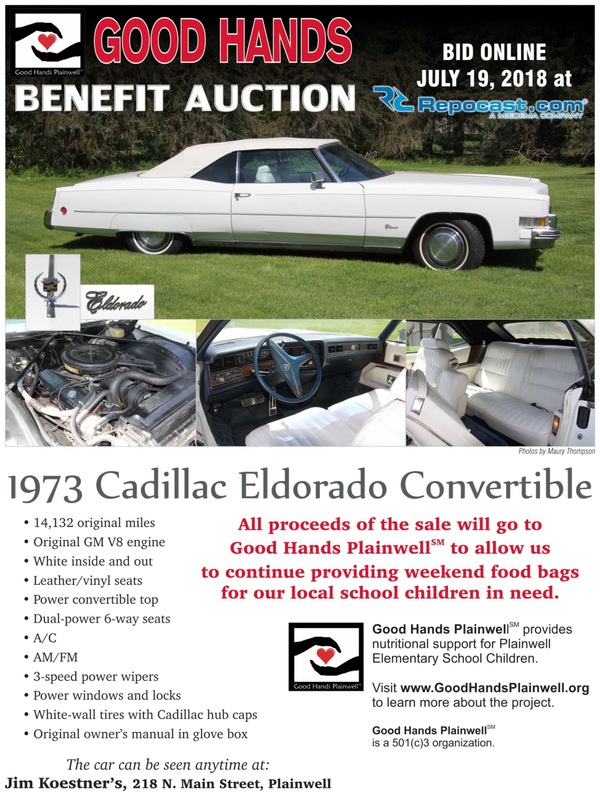 July 2018 – Good Hands Plainwell℠ very special fundraising event. June 2018 – Getting the sign up for the very special fundraising event. 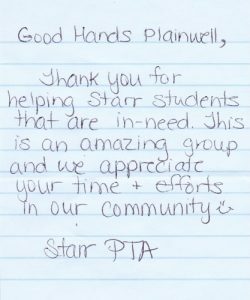 2018 – Good Hands Plainwell℠ off to deliver to Starr Elementary. 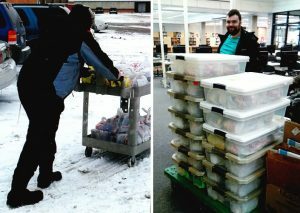 2018 – Good Hands Plainwell℠ off to deliver to Gilkey Elementary. 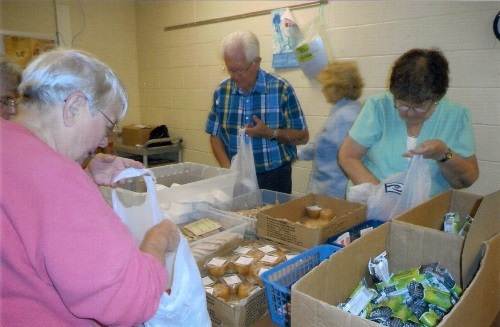 2018 – Good Hands Plainwell℠ packing food bags. 2018 – Good Hands Plainwell℠ pantry shelves. 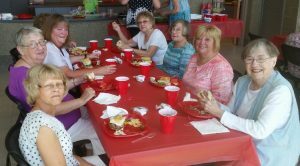 June 2017 – Good Hands Plainwell℠ Volunteer Appreciation Luncheon. March 2017 – At the Otsego-Plainwell Chamber of Commerce Annual Dinner, Good Hands Plainwell℠ received the Nonprofit of the Year Award presented to Board Member Nancy Heilig by State Representative Mary Whiteford. 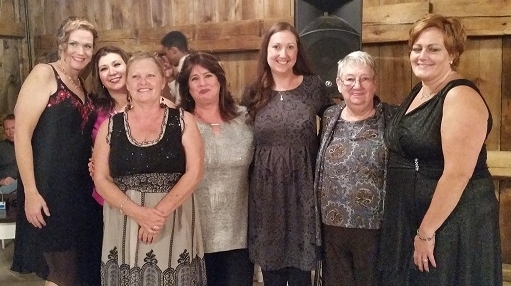 October 2016 – Board Members Nancy Heilig and Leandra Burke are pictured with the staff from Envy of Plainwell. 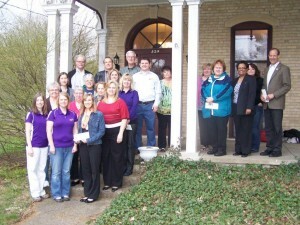 Envy puts on a charity fashion show every year and picks a local organization to receive the proceeds. 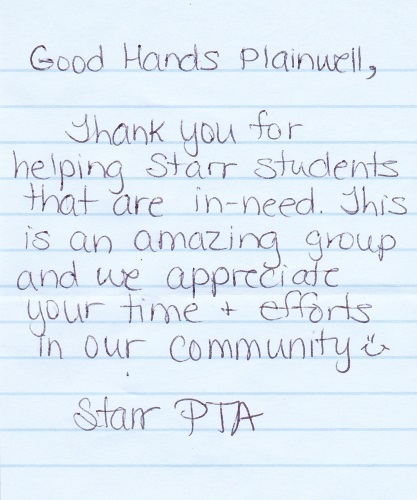 In 2016 Good Hands Plainwell℠ was the recipient! 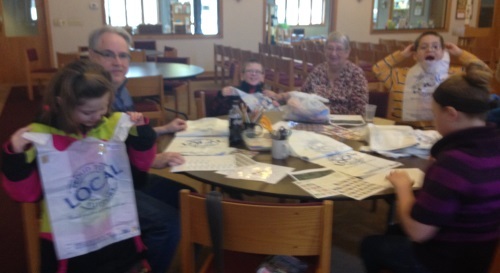 March 2016 – Hope Lutheran Church Sunday school children learning about Good Hands Plainwell℠. 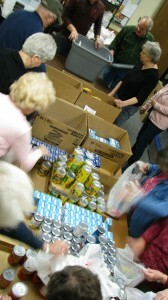 They will be donating their offering to Good Hands Plainwell℠ this year! 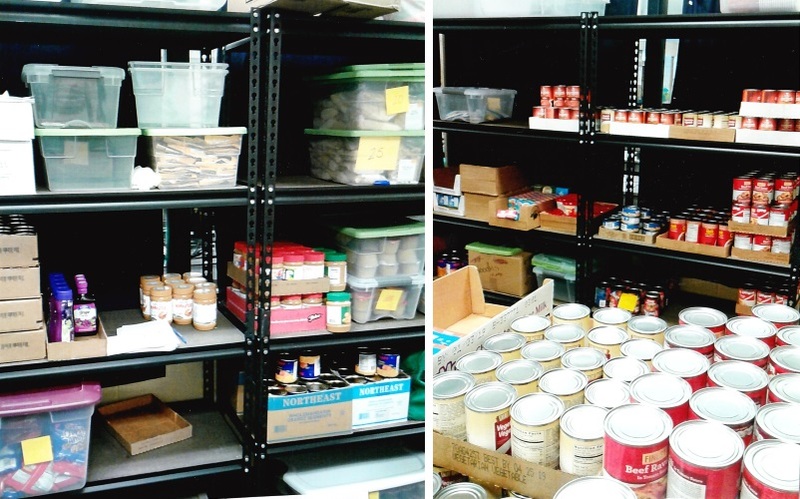 September 2015 – The first day of packing for the 2015-16 school year, our organization’s fifth year! 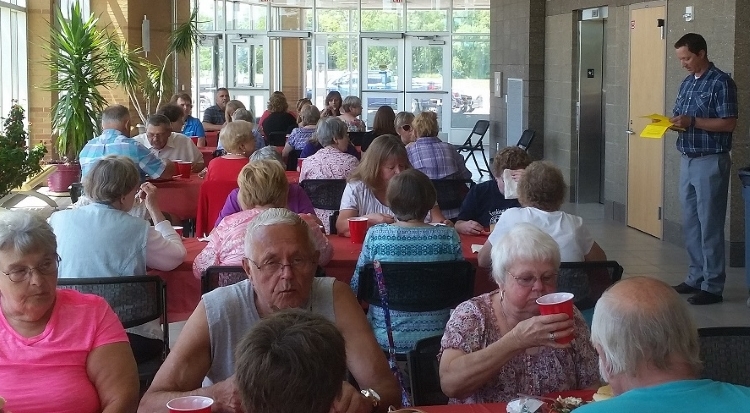 June 2015 – Thank you! 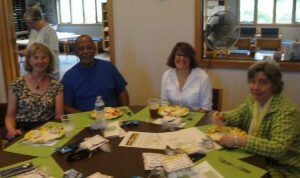 to all our wonderful volunteers! 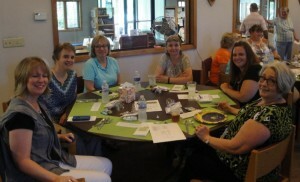 A great lunch to celebrate another successful year! May 2015 – Thank you! 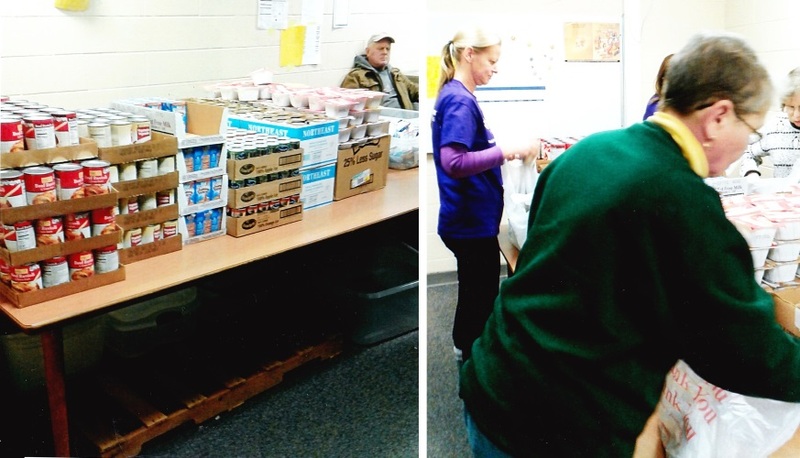 to the Allegan County Foundation TAG Team for their generous donation of peanut butter! January 2015 – Thank you! 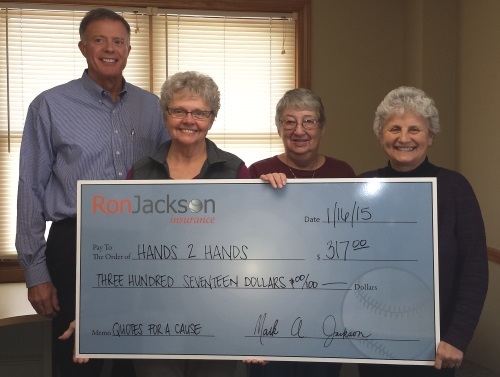 to the Ron Jackson Insurance for their generous donation. 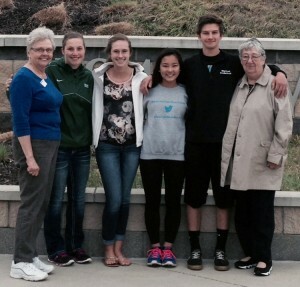 May 2014 – Thank you! 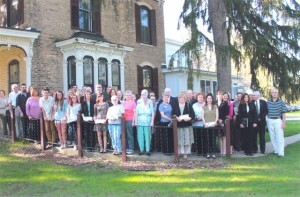 to the Allegan County Foundation and the TAG Team for a $1,500 grant. 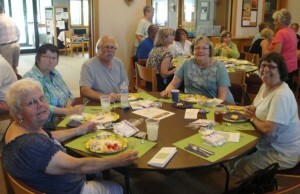 June 2013 – Thank you! 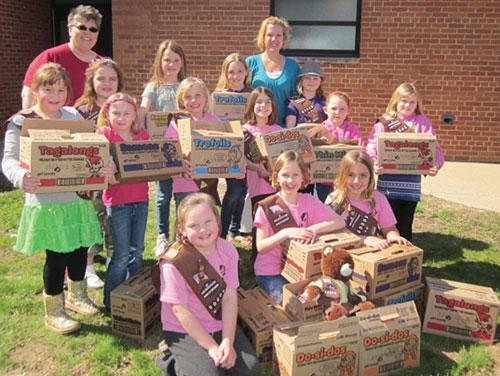 to Girl Scout Troop 80005 for the cookies they donated. Also thank you to the Union Enterprise for providing this photo and please click here to read the Union Enterprise article. May 2013 – Thank you! 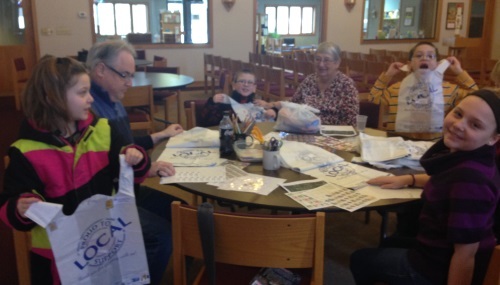 to the Allegan County Foundation for their $5,000 grant from the Charles and Betsy Hill Donor Advised Fund, as well as a $750 from the TAG Team. 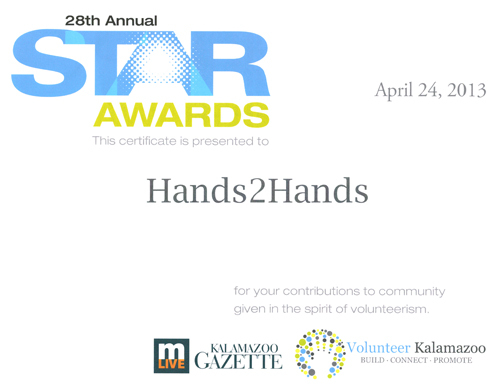 April 2013 – We are a STAR Award Nominee! 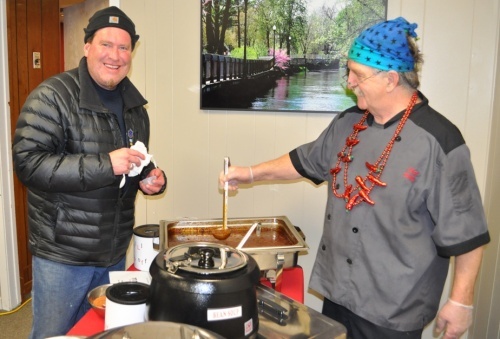 February 22, 2013 – The Plainwell Chili Contest raises over $600 for our group! 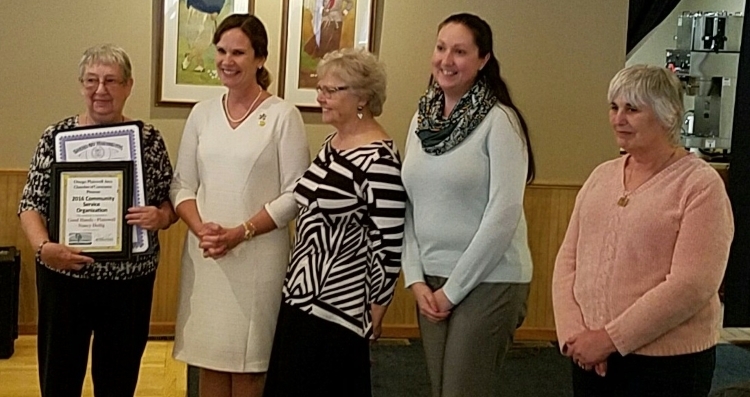 February 18, 2013 – A $4,500 donation is presented to board members (left to right) Donna Gorton, Del Beier and Nancy Heilig by Anita Varela, Community Relations Director for the Gun Lake Casino. 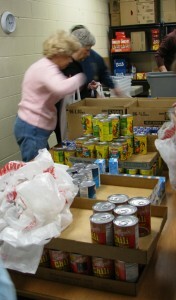 The Casino donated this money specifically to fund the Free Milk & Bread voucher program. January 2013 – Packing Bags!